Serious concerns have been raised about the Care Quality Commission’s handling of fit and proper person regulations after a complaint against a chief executive left one trust facing a bill of £200,000 for an independent investigation, HSJ can reveal. The chair of Derby Teaching Hospitals Foundation Trust, John Rivers, told HSJ that unless the CQC urgently reconsidered its approach there were serious risks for the NHS. He said pressure from complaints could cause some trust boards “to implode”. The regulations require trusts to be assured people are fit and proper to be employed. Directors can be deemed “unfit” to sit on boards if they have been involved in “serious misconduct or mismanagement”. The CQC can require the removal of unfit directors. The report, released today, completely exonerates Ms James. It describes her as an “exemplary” chief executive and the allegations as “misguided”. 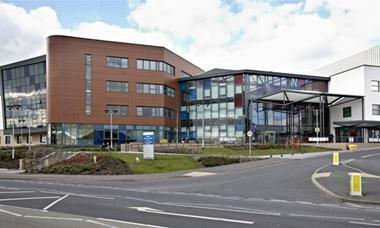 The complaints related to Sue James while she was chief executive at Walsall Healthcare Trust. She was subsequently exonerated. The report said the CQC contributed to substantial delays to the investigation by failing to pass on vital information and evidence, which led to witnesses being re-interviewed and the scope of the probe being widened. The CQC suggested the trust use barristers to investigate the complaints after it rejected an initial assessment by Mr Rivers in April, but then declined to meet with him to discuss the issue further. The trust estimates the final cost of the investigation will be £200,000. Without better guidance other trusts would be forced to restart the process, he said. A CQC spokesman said: “Following the receipt of concerns, the CQC asked [the trust], to consider the concerns, and provide an explanation of how it was meeting the fit and proper person requirements in the light of the issues raised. As a result the trust commissioned an independent review into the all concerns that had been brought to its attention. This approach was supported by CQC. The resulting report has provided the necessary level of assurance to CQC that the trust is meeting its duties under the [requirements]. Ms James, who intends to retire at the end of December, said: “When a chair is faced with investigations into their own chief executives they are very isolated and I think for the CQC not to provide any support is unfortunate. “The legislation is designed to stop inappropriate people being directors but because of the way it is being run the danger is that it deters highly appropriate talented managers from ever being in the position where this sort of witch hunt could happen against them. Sir Stephen Moss, a non-executive director at Derby and former chair at Mid Staffordshire FT, also warned of dangers for the NHS if the regulations distracted organisations. The CQC has been criticised that its fit and proper regulations process is not transparent, with decisions to reject complaints being made without explanation, despite a number involving employment tribunal cases where people have been implicated in unfair action against whistleblowers. HSJ has decided not to publish the names of directors still subject to complaints until the final outcome of the CQC’s process and only when people are identified as unfit. David Drew, who made the original complaint against Ms James, rejected the report’s findings and also criticised the CQC. He said the process needed to be more transparent for those making complaints. Sue James was referred to the CQC under the fit and proper person regulations in January by consultant paediatrician David Drew in relation to her tenure as Walsall Healthcare Trust chief executive in 2003-10. Dr Drew alleged that Ms James was involved in a cover up surrounding the avoidable death of 16-month-old Kyle Keen in June 2006, suppressed critical reports about the hospital’s paediatrics department and took no action on complaints of bullying. Dr Drew was later disciplined and sacked after emailing religious quotes to colleagues and lost an employment tribunal case in 2013 for unfair dismissal and religious discrimination. According to the report published today, Ms James is fit and proper and an “exemplary” chief executive. The investigation rejected the complaints against her and criticised Dr Drew as an unreliable witness. It said claims against here were misguided and inaccurate. Dr Drew said he believed the authors were biased against him, the report was a “hatchet job” and that he did not recognise its description of him.